Pick three products from your brochure to promote to customers. Use the special message box on your customer order forms for this. Let your customers keep hold of their brochures. You will be surprised at how many people will get to see your brochure when it’s just lying around your customer’s home. Four packs of brochures cost £5.67 – 28.4p per brochure – with each additional pack costing 50p each. (1 pack is 5 brochures). You will make around £2.50 commission from each customer so that must be worth your 28.4p for the brochure. The more you order the cheaper they work out individually. Check your Representatives magazine. Remember you can save up to 85% on prices in the First Look. Show your customers what you have bought and it will increase sales. More brochures mean more customers, which leads to more sales and more money. Promote free gifts, they increase your sales. These gifts can be obtained from your First Look at a discount price before they appear in the brochure. Give your customers samples of products. People tend to buy more expensive products if they can try them first. Give your customers incentives for higher sales. I.e. spend £20 in this brochure and receive a free gift. Ask your customers when delivery is convenient for them. You may get your delivery one day and they may not get paid till the next. Let them know that you will deliver it then. This means that they can order more as it will be delivered on their payday. Encourage your customers to phone or email in their orders. That way, if they miss you, they know they can phone their order in. Keep good customer records, the products they tend to buy. Try to get their phone number. That way you can phone them to see if they want an order and you can phone them if you are unable to make the delivery date that you have stated. Your customers will appreciate this. Never leave products with a customer unless they are paid for. Even if they are family and friends. If they do not pay and you have given them the products, then you have to pay for the products. Don’t forget your customers who give you little orders. They are always regular and every campaign. Get familiar with the products you are selling. Try them yourself. If you have sensitive skin, allergies etc, then get a friend or family member to do it. That way when a customer asks what a product is like, you will have a good knowledge. Try holding an Avon party. All underwear and jewellery can be used for demonstration purposes and then returned. (Customers must not try on underwear) Buy a few things from your First Look book that they can try, some from while stocks last as prizes and then buy some samples that the customers can try on the night. These parties do not cost a lot to do. Everyone has different friends so you will get the sales and pick up a few extra customers. 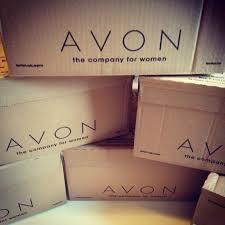 Carry an Avon product with you at all times, especially when you are delivering orders. 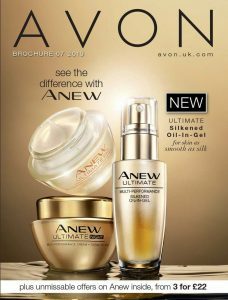 Your customers love to see and touch Avon Products – and trying means buying. Any other brochures left in your home are not working and therefore are not making you money. Talk to three different people every day about Avon. By doing this you will become known in the community and you will find that people will come and ask you for a brochure. Always carry at least one brochure with you and either a calling book or a pad to write down whom you have given the brochure to. 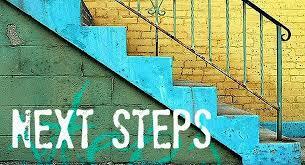 You will pick up many new customers form the streets if they know you are an Avon rep. The more you sell the more you earn. Show a brochure to every customer every time. There are 18 brochures each year. Aim to find at least one new customer every campaign. Leave brochures with your customers for 2-3 days to give them a chance to place their order. Any longer than this and you will lose brochures and potential customers. Re-use your old brochures to find new customers or contact family and friends who you missed last time. Remember you can back order for one campaign. Protect your earnings and try to sell your entire return products. You will usually find one of your customers will be interested. 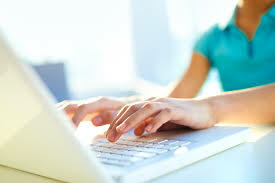 This is where a good customer list is very useful. Always be positive. A good order in one campaign does not always mean that it will be the same every campaign, prepare for this and find new customers. That way your sales will always improve. Share your My Avon Store link every campaign onto your Facebook profile, page and social media. Remember to update your delivery dates in your store every campaign. Visit the Social Media Centre (located in your Avon Store dashboard) campaignly and share the great video guides and tutorials, they link back to your store too!! Never sell a lipstick without having the matching nail enamel to hand, a nail enamel without the remover etc. Always look if you can advise the customer on related products to their purchase. ‘By the way’ – When leaving a customer’s house with an order, ask if they have noticed a certain special offer in the brochure. We cannot stress enough that buying demo products pays off, customers will be tempted to buy when they can see and try the products. The same principle applies to samples. Customers will want to buy the full size products once they’ve tried them and seen how good they are. Network – If your customers work with women, ask them to take a brochure into work for you, it’s a great way to expand your customer base. Up front selling – Stock up on favourite products that you can sell there and then when your customers have run out. They will appreciate it. When there is a good offer in the brochure, fold it open at the relevant page and present it to the customers; it will attract their attention. Lumpy Brochures! – Use sticky tape to attach samples to the brochure but hand it out to the customers; don’t post through the letterbox as it would be too bulky and probably get torn. Promote products – Each campaign, promote one particular product to all your customers. Set yourself a goal; if you sell 10 units of that product one campaign, aim to sell 11 of another next campaign etc. Ask one customer a campaign to trial a new product, stress it’s brand new and you’ll need feedback. Your customer will love this and feel special! 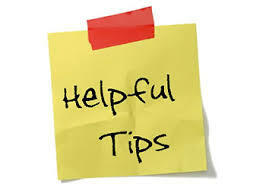 Put their comments into a newsletter with the next brochure, other customers will value personal recommendations.